Then I had the misfortune of meeting rude Ricky. A tense, brooding 50-something jerk from a North American city. Ricky had a special talent for turning toxic any environment he inhabited. From breakfast buffet to tourist excursion, Ricky scowled and, unsolicited, offered his expert, superior knowledge of everything. When he wasn’t criticizing all and sundry, that is. He complained loudly and angrily about being victimized by lowly travel operators who failed to live up to his expectations (he demanded and got his money back). He expressed loathing of mostly everything, including his hometown, (so why not leave Ricky?). He failed to leave tips when it was the norm to do so. Ricky hated everything and appreciated nothing. One of the most repulsive characters I’ve ever met. One wonders what kind of an environment spawns a Ricky. He reminded me a lot of a horrid couple I met on a dive boat in Palau. Perhaps he’s their spawn. How’s this for an experience? Road trip to Osoyoos and Penticton B.C. Wine country. We do this annually. I’m driving my brother’s car because 1) it has cruise control and mine doesn’t, 2) I’ve got far more experience driving long distances. (Countless, long road trips in Northwestern B.C. during my CBC Radio years), and 3) I’m the big sister and the boss of everything. Here’s how it went for practically the entire 4.5 hour drive. I think this is what they call ‘making memories’. Next year, I’ll be sealing his mouth shut with duct tape before we set off. I’ll enjoy making that memory. A candidate for barbarian traveller of the year methinks! By now, you know I lived to tell the tale. The experience spooked me. Even more so after I’d returned home and had a chance to really think about what had occurred. Learning about the deaths of Donna Newton and Eloise Gale frightened me. Wanna read the entire story, in order of blog postings? I will never again expect a diving excursion operator to respect the diver buddy system. If I have concerns about the complexity of the dive, I’ll hire my own guide or just not go. I’ve learned the liability waiver a diver signs lets operators off the hook for everything. Even when they’re at fault. You dive at your own risk. I’ve learned that few Galapagos diving mishaps are ever reported. It’s in the industry’s interest to keep these stories out of the media so that divers keep coming. Even if they’re unqualified. Unaccompanied divers — travelling without a friend or loved one who cares if they live or die — are most vulnerable. Both the dead divers, Donna Newton and Eloise Gale, travelled to Galapagos unaccompanied, like me. Took additional dive training in February to fine tune things, like kicks, buoyancy, removing mask underwater and emergency situations. I thank Ocean Quest Dive Centre in Burnaby, Canada. Excellent dive shop and training facility. Purchased a space air tank (aka a pony bottle) for warm water travels. 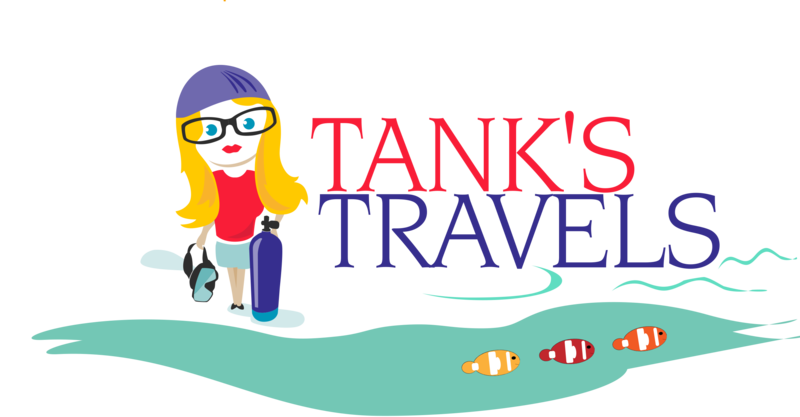 A tank I can pack in my suitcase. I already own a larger spare air tank for B.C. waters —its’s too big to pack in a suitcase. Means I don’t have to rely on another diver for air. However, air isn’t the only problem one can have at depth. Nothing replaces a good buddy. Sold some of my equipment and replaced it for better fit and comfort. Will take additional training to become a more self-reliant diver. None. Pay your money and take your chances. Did I complain to the company? No point. I’ve not named the vessel publicly, but I’m happy to do so privately, if you contact me through WordPress. I’ll never patronize this operator again on any of its diving tours worldwide.